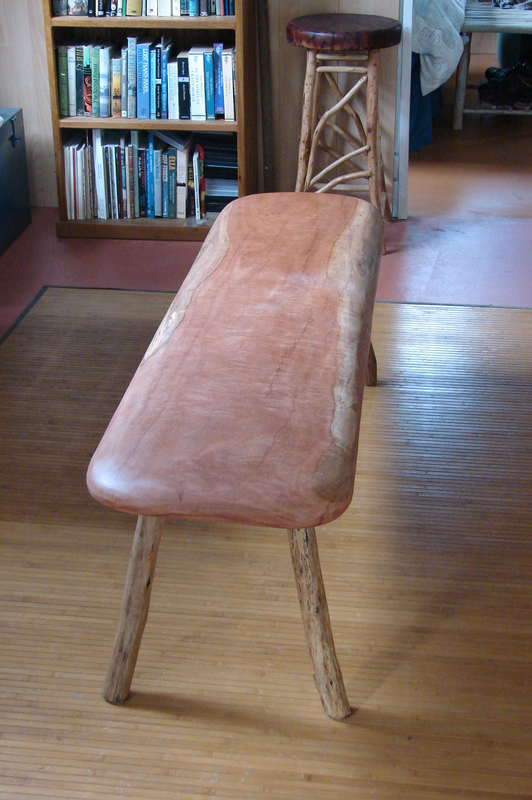 Painted Stick Bench, hand crafted from recycled Oregon and mixed Gum species. 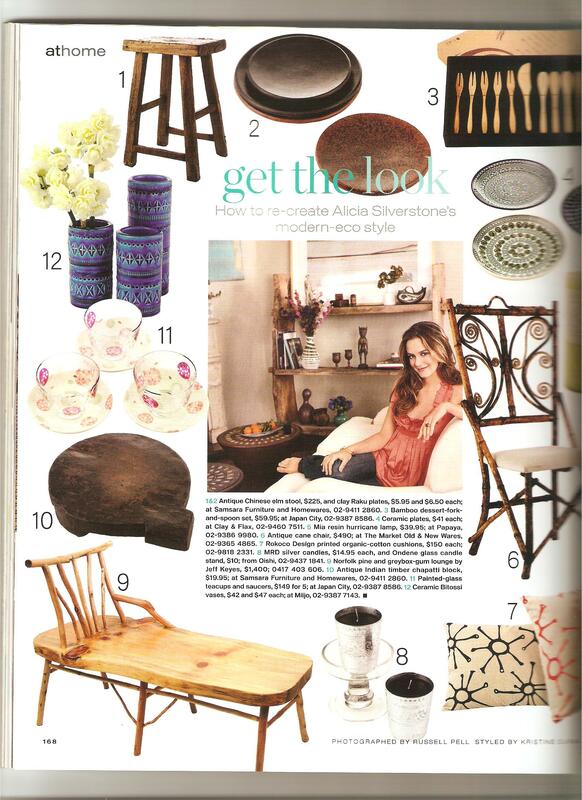 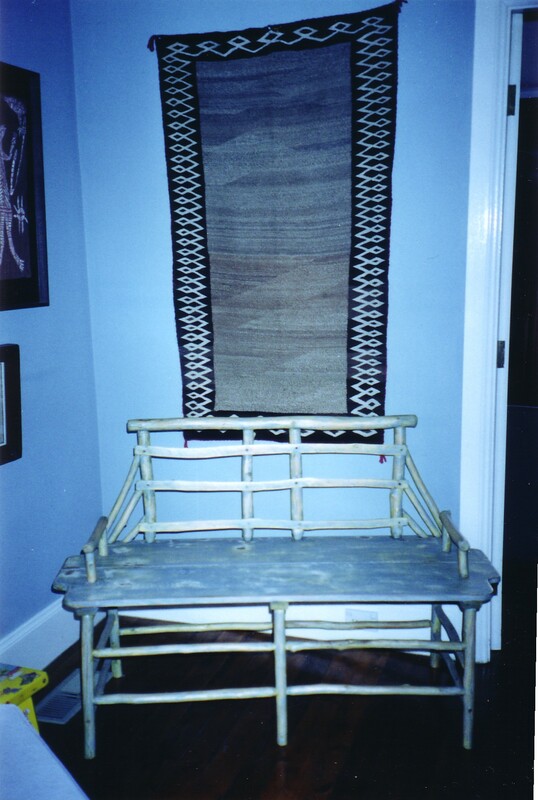 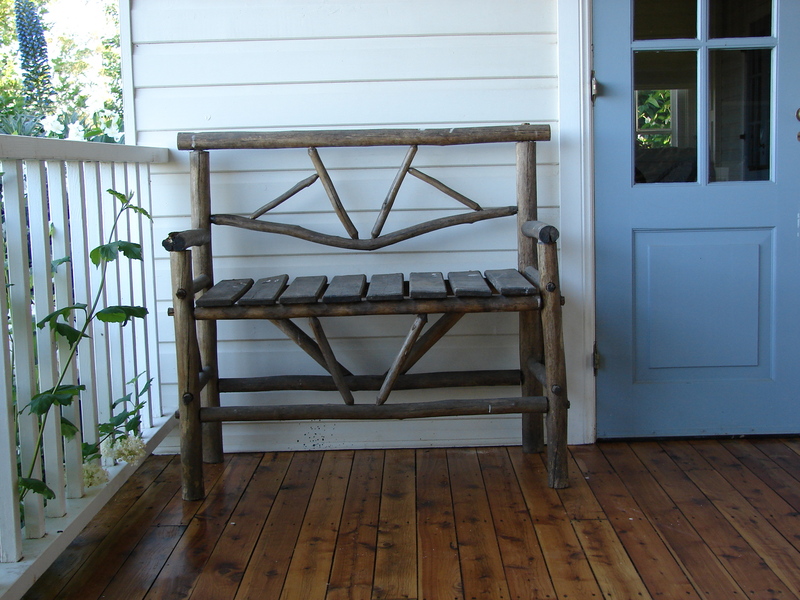 An aged, gum stick and slat bench which sits comfortably in a country home. 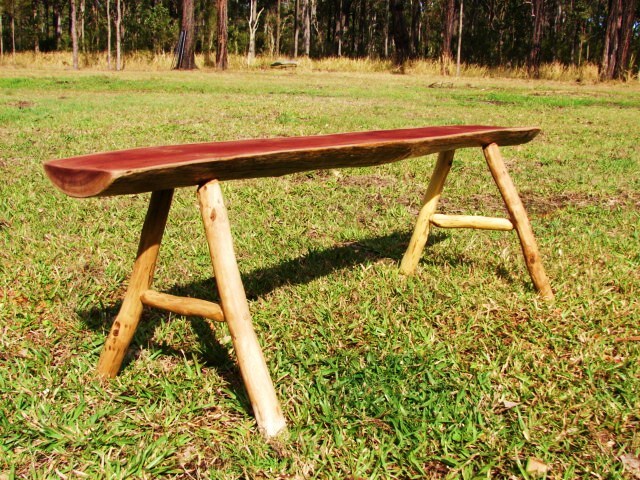 Slim, Ironbark slab and gum stick legs combine in this low bench. 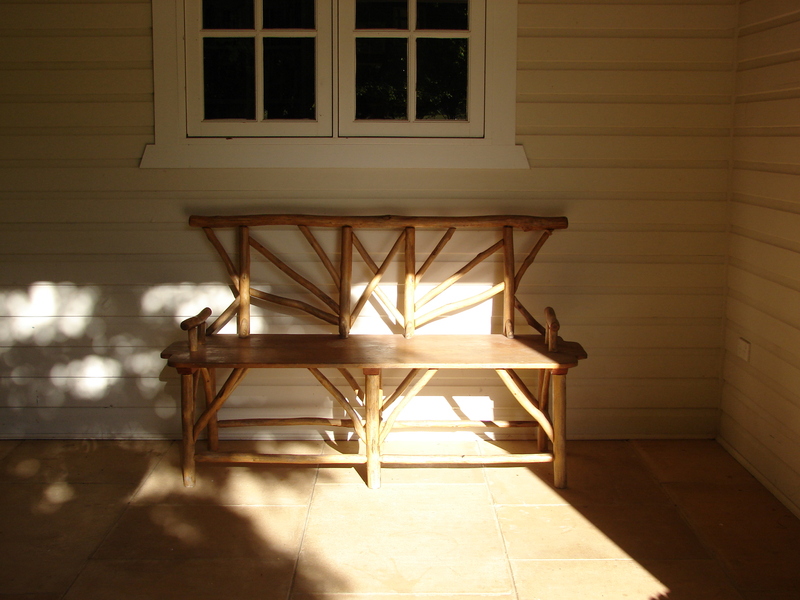 Oregon boards and Grey Gum Sticks have created an original hand crafted design for the verandah. 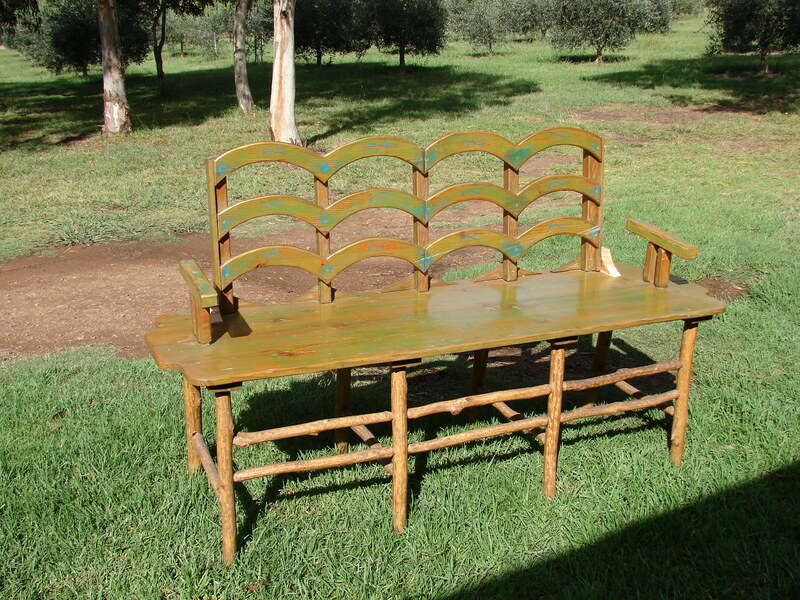 Painted and rubbed Pine and Gum Stick Bench, suitable for verandahs.